Next time you plan a party, make sure you're well-armed and dangerous. 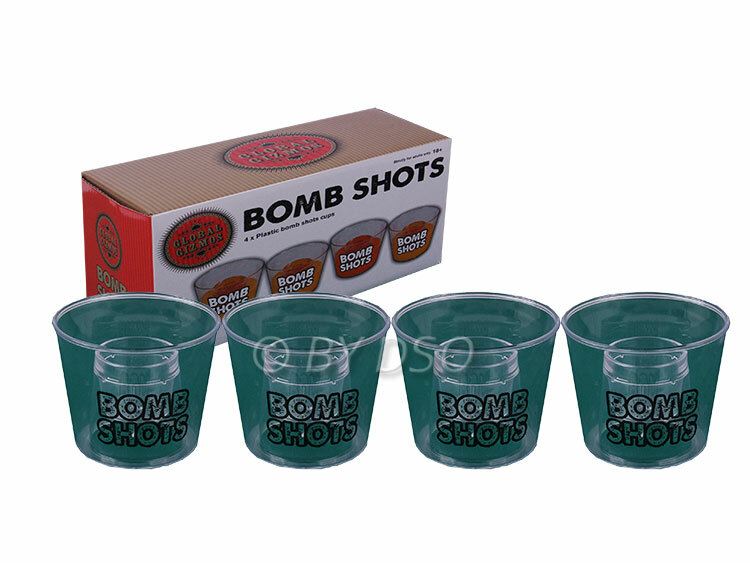 These Bombs Away shot glasses will surely make your party a smash hit. Just don't get too bombed drinking, mmmkay? Perfect for everyone's favourite drink, the Jagerbomb, or gives you the option of creating your own drinks! 4 Plastic cups with built in shots. Fun Way to Mix and Serve Drinks. Great Party Fun. Please Drink Responsibly. Text on the glasses reads "Bomb Shots"